Hitachi UK nuclear suspension: Blowing a hole in decarbonisation, or an opportunity for renewables? Hitachi has confirmed it has suspended work on the Wylfa Newydd nuclear power plant, a move which risks “blowing a hole” in the UK’s decarbonisation strategy. But in a statement to parliament energy secretary Greg Clark has instead opened the door to alternative technologies, including more mature renewables, stepping into the void. 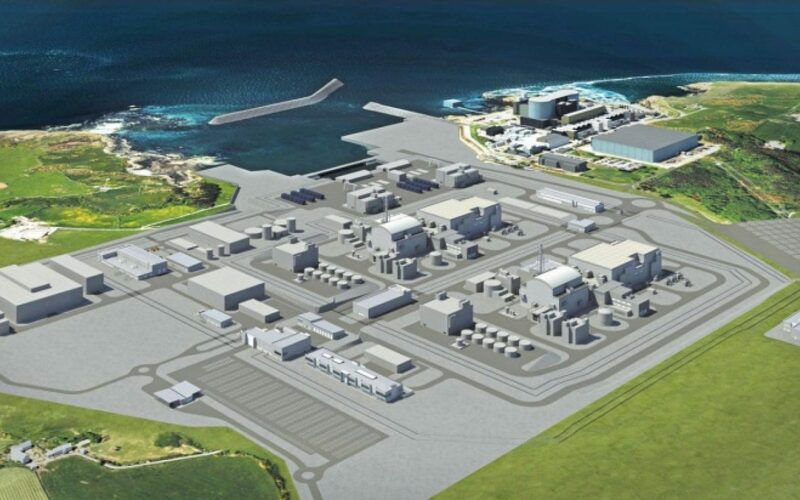 Earlier today Horizon Nuclear Power, the Hitachi unit responsible for the development of the Wylfa, confirmed that it was to suspend its nuclear development programme in the UK after it experienced difficulties in identifying financial partners. “As a result we will be suspending the development of the Wylfa Newydd project, as well as work related to Oldbury, until a solution can be found. In the meantime we will take steps to reduce our presence but keep the option to resume development in future,” Duncan Hawthorne, chief executive at Horizon, said. The decision is expected to result in the loss of thousands of potential jobs, despite Horizon stating that it would work to minimise the potential impacts. Rumours had been swirling for some time that Hitachi was planning to pull back from its UK nuclear commitments, with numerous reports emerging in Japanese press over the last few months detailing the company’s trouble in finding project finance. The government had to date resisted in commenting on the speculation, but today energy secretary Greg Clark made an oral statement to parliament. Clark provided some candid details surrounding the government’s negotiations with Hitachi. He revealed that the government was prepared to take a one-third equity stake in the project, that it was also willing to consider providing all of the required debt financing to complete construction and, perhaps most pertinently, that it was to consider providing a Contract for Difference to the Wylfa project with a strike price “expected to be no more [than] £75 per megawatt hour”. Such a strike price would have seen Wylfa generate power at a similar price to EDF’s Hinkley Point C reactor, a project which has been repeatedly attacked for its price. Clark however pointed towards £75/MWh as an upper limit for the project, arguing that he could not justify going above “given the declining costs of alternative technologies”. Clark started his parliamentary address by stating that the economics of energy market had “changed significantly” in recent years, pointing specifically at the cost reductions in renewables that now require “very little public subsidy and will soon require none”. “We have also seen a strengthening in the pipeline of projects coming forward, meaning that renewable energy may now not just be cheap, but also readily available,” Clark said, before arguing that new nuclear economics had not seen the same kind of reductions. “Across the world, a combination of factors including tighter safety regulations, have seen the cost of most new nuclear projects increase, as the cost of alternatives has fallen and the cost of construction has risen. 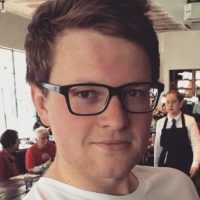 “This has made the challenge of attracting private finance into projects more difficult than ever, with investors favouring other technologies that are less capital-intensive upfront, quicker to build, and less exposed to cost overruns,” Clark said. This would appear to be opening the door to an abrupt change in energy policy, despite Clark going on to argue that diversity in the country’s energy mix is still being sought after. The Energy and Climate Intelligence Unit (ECIU) today published a briefing on how alternative low carbon power sources could plug the ‘nuclear gap’ having stated that the government’s plan to roll out six new nuclear power stations looked “increasingly parlous”. The ECIU assessment argues that a suite of renewables technologies – 80% provided by onshore and offshore wind, 20% by solar PV – would provide the same equivalent firm capacity as the prospective Moorside, Wylfa and Sizewell C nuclear plant at an average price of £50-65/MWh, including the cost of system balancing such intermittent generation would require. Such an average price is representative of a 13 – 33% discount on the cost of new nuclear. Emma Pinchbeck, chief executive at Renwable UK, said Hitachi’s announcement risked “blowing a hole” in the government’s carbon targets. “We have the technologies, like renewables and nuclear, that can deliver a low carbon energy system and Government is rightly backing our world leading offshore wind sector, which can meet a third of our power needs by 2030,” she said. But doing so would require a wholesale review of government policy, Pinchbeck argued. Energy UK chief Lawrence Slade was however more measured, insisting it was disappointing to see work at Wylfa suspended.